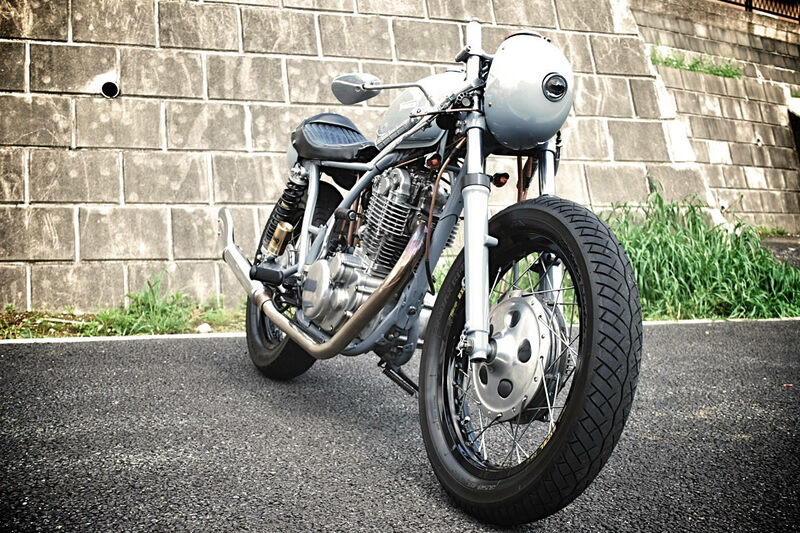 Yokohama based brothers from Yamaguchi Ringyou are back on Moto Rivista with their custom Yamaha SR400 aka Type Zero. 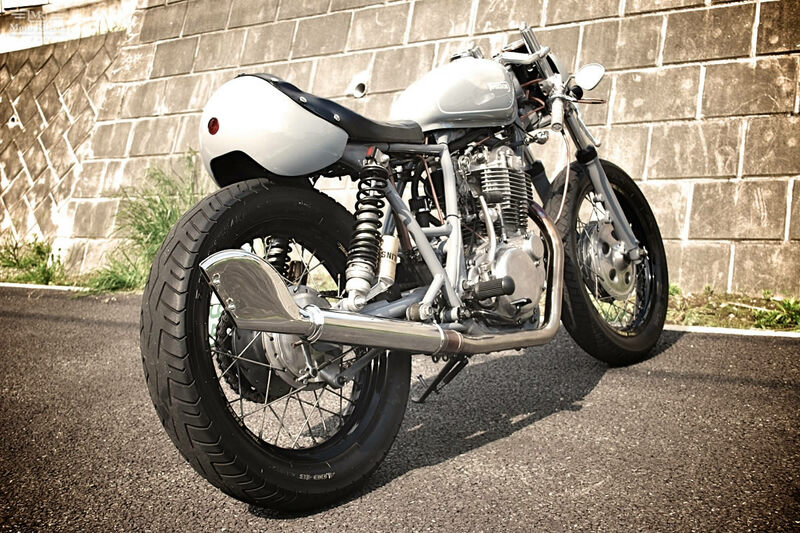 The distinctive look of this custom Yamaha SR400 may appeal to some but not others. The idea for this unusual design was inspired by Helmets, which have been used at the front and the rear of the bike. 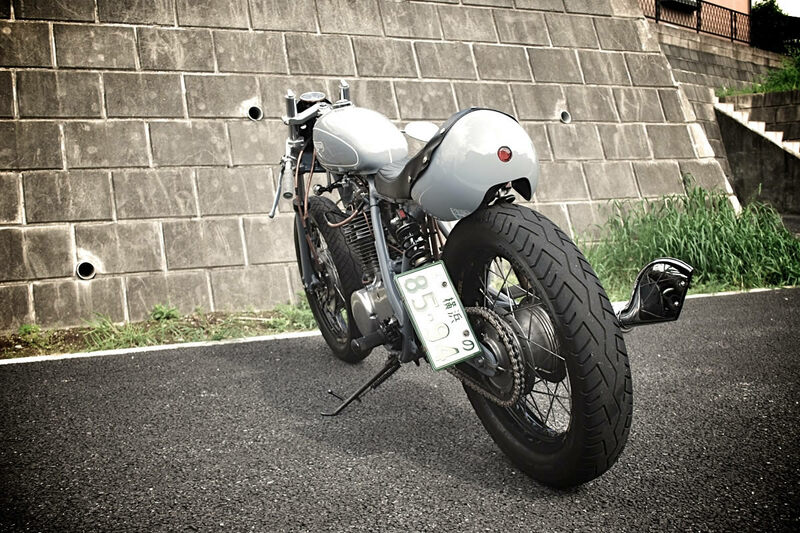 One of the beauties of custom motorcycle building is the freedom to imagine and create what you want, for Yamaguchi Ringyou taking this idea is what has given their build a mark of individuality. The base for this build was a Yamaha SR400, which has been stripped down to the frame by the brothers. 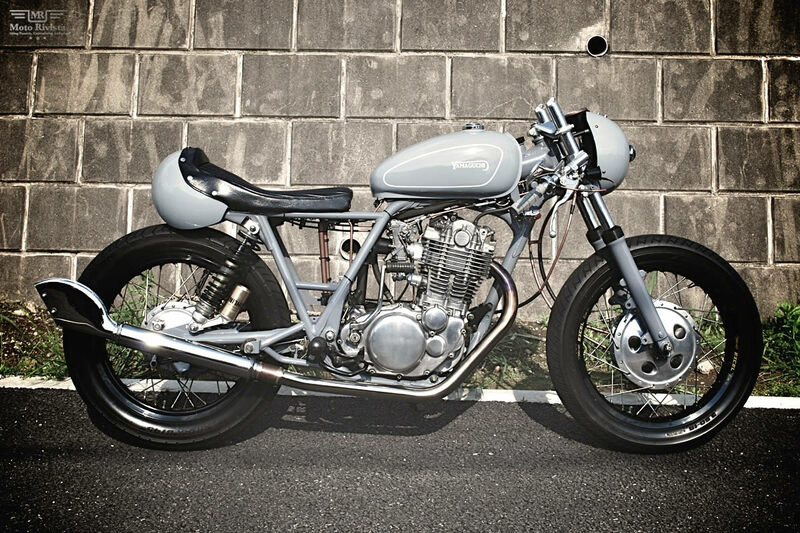 The stock SR400 frame was modified to adapt the new style. At the front Type Zero features a 35mm clip on, trial bike grips, Tommaselli classic throttle holder and a Posh mirror. The bike also features a few parts from our good friends at Motor Garage Goods including the banana fuel tank and the classic type speedometer. The unusual helmet front headlight features a projector fog light and headlight stay. The rear cowl of the bike was made out of a helmet, I have never seen one used before and this one looks all right! Another unusual looking element on this build is the fish tail muffler. 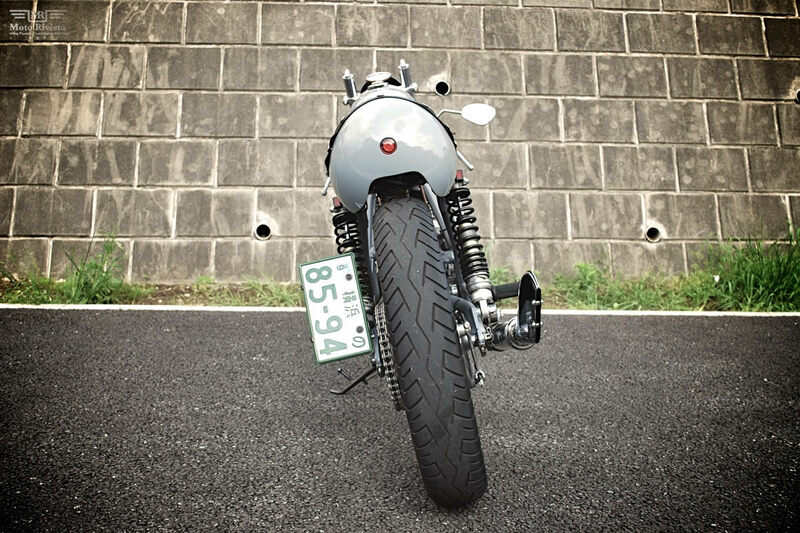 At the rear this custom Yamaha SR400 includes Öhlins rear suspension, one-off taillight, and genuine SR400 foot-pegs. The finished bike rolls on BT-45 front and rear tires. 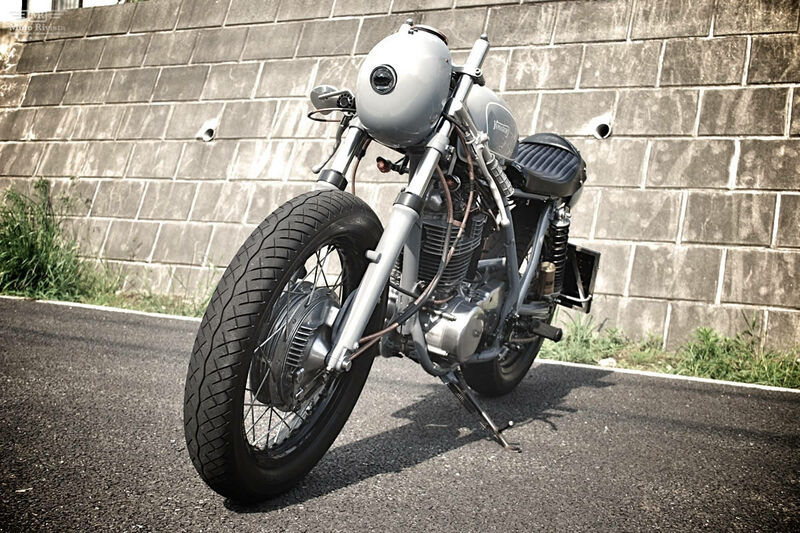 Now the brothers have done their job with putting together this custom Yamaha SR400, lets hear what you think of the brother’s approach on this custom build? Disclaimer: If any of the facts in this article have been lost in translation we apologize, please feel free to comment and correct us! Moto Rivista editor!